Congratulations on completing your Fellowship; it is a significant achievement and a pivotal point in your career. As a new Fellow, you represent the future of healthcare in Australia. The path you choose and the care you deliver can (and will) significantly impact your patients, the wider communities in which they live, and our entire industry. As healthcare in Australia and around the world undergoes considerable change and reform, I encourage you to keep pace with these developments. Understanding how technology and innovation are transforming our industry will empower you to optimise the care you deliver today and in the future. Developing an entrepreneurial mindset and mastering the business side of medicine will ensure you survive and thrive. Be sure to surround yourself with trusted mentors, partners and peers who can guide, support and scale as you and your practice grow. Stay curious, keep learning, embrace change and constantly seek to improve standards of care and patient experiences. What changes are on the healthcare horizon? The end of your medical training is in sight and you’ve made the decision: you’re going into private practice. Whether you’re planning to work in an established practice or hospital, or looking to open your own clinic, simply surviving the next few years isn’t the only goal – you want to thrive, grow your reputation and deliver exceptional care for your patients. Our goal with this guide is to align your first-class medical skills with smart business know-how. Explore the comprehensive roadmap, ideal for the new wave of medical professionals ready to prepare for private practice and pioneer smarter healthcare. In any small business, the path of an owner will be filled with both challenges and triumphs, so forward planning is a must. The formative years of your career are a crucial time to establish yourself as a leader in your field and set yourself up for long term success. The following are our essential strategies to help you survive and thrive in private practice. Understanding the realities of running a private practice begins with soaking up invaluable insights directly from the people on the front lines. Whether you’re still studying, or already working in a hospital or established practice, there is immense value in engaging with other seasoned medical professionals who have both the foresight and experience to offer you mentorship. What areas did you struggle with most in getting your practice up and running? How did you build a successful referral network? What do you enjoy most about running a private practice? “It was never a particular ambition [to open a practice], but I did have a vision of the kind of practice I’d like to run and, as it would also be a sound investment, I decided to go ahead. I wanted somewhere local with easy access throughout the day, and I also wanted room to expand. I was confident that the people who work here would appreciate having a medical practice close by. As I'd done a lot of research I felt comfortable about taking on the loan." Becoming a leader in your field starts well before you finish studying. 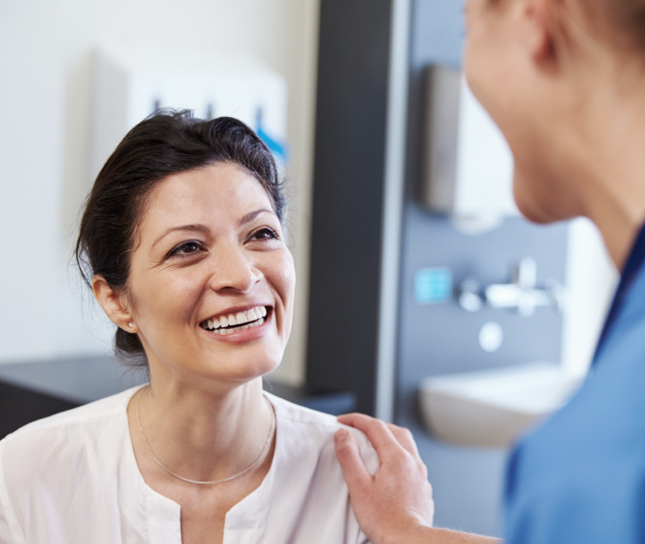 Building your network and forming strong relationships with other medical professionals is a key part of developing a successful referral strategy. Invest time into meeting people face-to-face and making connections, through attending workshops and seminars. 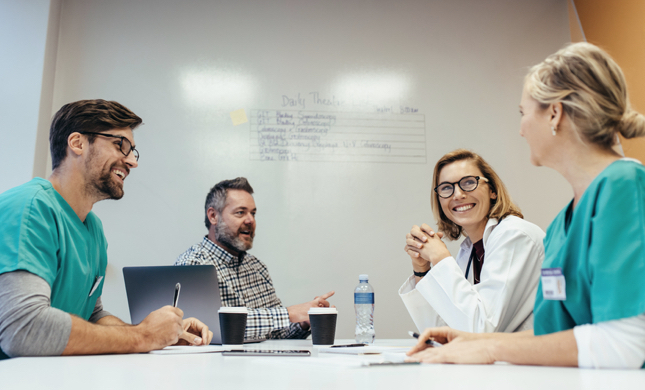 High-value organisations, like the Australian Medical Association (AMA)1 offer a variety of educational and networking opportunities through events, conferences and training seminars at both the state and national level. Engaging with other doctors and health professionals using digital platforms like LinkedIn or Facebook can also help to build your reputation within the industry. Taking ownership of who you are and how you want to care for your patients can set you apart from the competition. A business plan is your blueprint for building a successful practice. By developing one early, you can evaluate each part of your business – and see where opportunity meets demand. This includes your business structure, service range, staffing, competition, finances, marketing approach and most importantly, your future goals. A solid business communicates key information to staff and other stakeholders like banks and investors, if and when financing is needed. Creating one as early as possible establishes solid business foundations from which you can launch. The best business plans are simple and nimble. How many, and which type of patients would you like to see each week? How many referrals do you need each month to achieve this? How many GPs are in the area, how will you target them, and how often? What will your fee per consult and projected weekly income be? Building simple forecasting models, such as the example below, helps you pinpoint your ideal numbers and identify the key strategies and infrastructure needed to achieve your goals. Setting up your own private practices means you can build your systems and processes from the ground-up – take advantage of this freedom. Ensure all of your systems, technology and process are streamlined and designed to create the type of practice you want to run. Adopting a system that scales as you do is the best investment for cementing a path to long term success and avoiding the most common growing pains. Ultimately, your technology must support operations and growth at every stage, therefore a reliable and scalable practice management system is a must. Consider cloud-based systems which can evolve and innovate as your business grows. 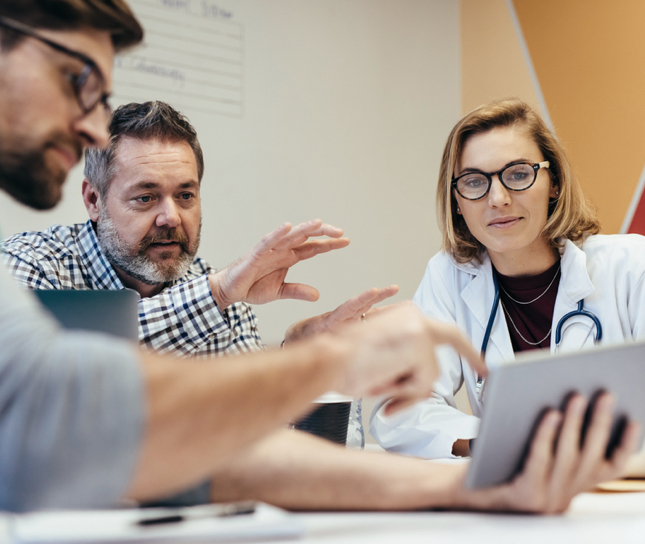 It’s also crucial to evaluate the changing expectations of your patients, and look for a practice management platform that engages and empowers patients in their healthcare journey. While you’re preparing for your future in private practice, it’s important to remember that your success relies upon adapting to and providing for the dynamic healthcare industry of the future. As a successful clinician, you must focus on today while keeping your finger on the pulse of tomorrow; especially the following key trends. Medicare and its ever-changing relationship with medical practices often comes with challenges and confusion, particularly as new legislation emerges and federal budgets fluctuate. The 2017 changes have proven to be a positive shift for many, ensuring there is more help available to those most in need of assistance. While Medicare provisions to overall health services tend to increase, the projected government expenditure looks to decrease for pharmaceutical benefits and services. The direction of these changes is largely informed by the rising rates of many chronic diseases and other key trends like our aging population. The evolution of cloud-based medical practice management platforms has changed the way we capture and leverage patient data – secure and instantaneous information sharing between doctors, patients and other healthcare providers is now an everyday reality. Fast access to real-time patient information saves time, supports more informed care decisions and helps deliver better patient experiences. 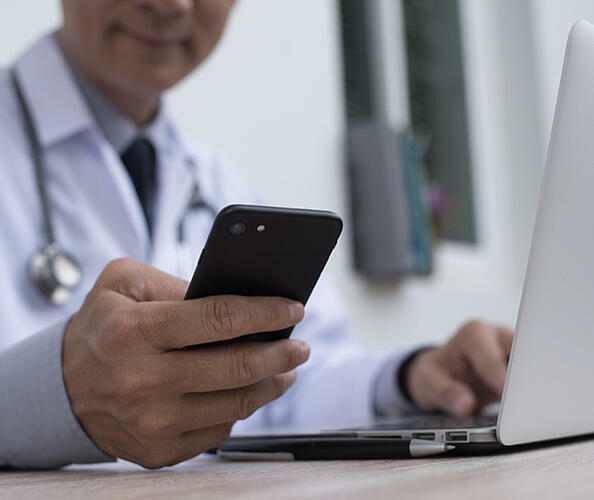 Cloud-based systems also encourage the rise of ‘the mobile practice’, where on-the-go, anywhere, anytime access equips clinicians to effectively and safely manage their practices from the palm of their hand. The digital transformation of healthcare has seen a flood of new data and platforms become available to medical professionals. But how the data is captured and categorised is the difference between drowning in data, and making the data work for you. Your choice of practice management platform will play a key role in this. Modern, cloud-based systems enable the easy capture, categorisation and filtering of relevant patient data, while presenting it in an easy-to-act-upon format. Sophisticated platforms go one step further and allow you to view data in both a macro and a micro format for deeper analysis and more informed decision making. There are many ways that data can assist you when used effectively, and the benefits go beyond you and your team — your patients are involved and more informed over the care. Clinical risk management covers all aspects of patient management and care across private practice. Areas such as secure information sharing, consistent and timely contact with patients for follow-ups and test results, appointment bookings, and regular patient checkups all have associated risks and breakpoints. The notable area of responsibility is the security of patient data. The risks of data breaches and compromised patient confidentiality are real, and data breaches now carry heavy fines for Australian healthcare organisations and individual practitioners. It’s therefore crucial to plan how to minimise these risks to you and your practice. Implement best-practice IT security policies and ensure your choice of practice management platform is backed by an Australian Government-certified provider, such as Microsoft Azure. Effective training and ongoing security audits will further minimise the potential for a data breach. This checklist covers the essentials for any new medical practice owner. Simplify the process, minimise the risks, and maximise the opportunity around every corner. Creating a new practice without the appropriate level of insurance can cost you tens of thousands more than the price of coverage. Even with the best processes and guidelines in place, unforeseen circumstances often arise without warning. Consider taking out, or levelling up too, the most suitable kind of medical indemnity insurance to cover things like theft, financial loss or property damage. You’re giving assurance for your business and confidence to your staff. Research and assess the pros and cons of each insurance provider and policy – like every contract, you’ll have to consider the fine print carefully, and compare what each policy covers with regards to public liability, business property insurance, workers compensation, and more. 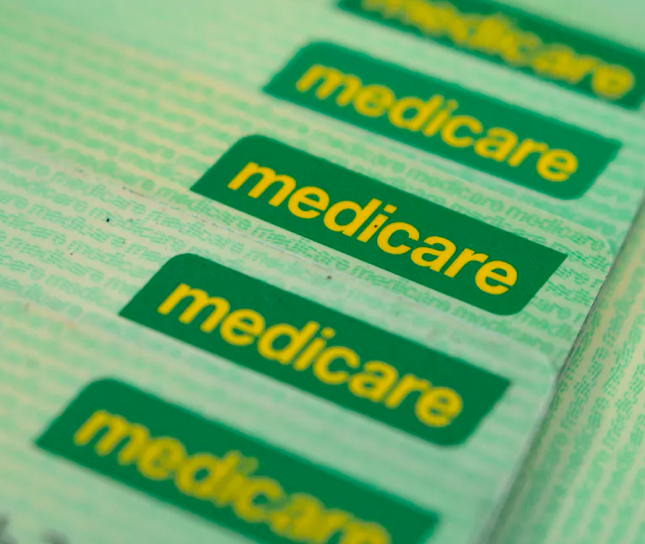 Every specialist must be a registered Medicare provider. Medicare rebates allow your patients to partially claim back on the services you provide and charge to them – your provider number enables this to happen. However, certain services don’t fall under the scheme, so patients without private health insurance must pay the full cost. As you take the next steps, it’s crucial to explore the differences in private and public care – especially, how much is covered by rebates and how your potential patients may fare with increased prices. An Australian Business Number (ABN) is a requirement as your practice will be charging fees for its services. When invoicing your patients, your ABN must be included as part of any invoice. The process to apply for an ABN is both free and simple to complete through the Australian Business Registrar. Doctors have several choices when it comes to setting up a business: you can register as a Sole Trader, a Company or a Partnership, or a Company Trust structure. Understanding the sort of company you are looking to build goes a long way in understanding what the right structure is for your set up. A Sole Trader model is the easiest to set up, however, it offers little protection from a business operational perspective. Depending on your income and personal situation, a Company and Trust structure may be the best choice; offering you more income and business-level protection, as well as tax advantages. Discretionary Family Trusts are the most common small business structure in Australia and are a key strategy for many business owners wanting to legitimately minimize their tax positions and protect their wealth. However, setting up a Trust Structure can be complex and there are many regulations and compliance issues to consider. Seeking professional advice is your best course of action, whichever business structure you choose. As a clinician or as a director, your responsibilities remain to provide quality patient care. Once you’ve decided your business structure, the next step is selecting the name that your practice will trade under. Be selective in the name you choose as it will represent and inform the branding of your clinic. Ensure to check its availability through the Australian Securities & Investments Commission’s1 website. If the name doesn’t appear in the search, it’s available for you to purchase for either an annual or three-year fee. Building an authoritative and helpful digital presence is a priority for your new practice; after all, today’s generation of patients are increasingly leveraging the internet to inform their health decisions. Your first step is registering a domain name, which secures a web address where your future website will exist. Furthermore, you’ll need to confirm your local business1 information with Google, so patients can easily find your practice, and link your social profiles to your website. Selecting which social media platforms are appropriate for engaging your patients will be determined by your typical patient demographic and where they spend their time online. Twitter is great for rapid conversation, Facebook is good for building trust through ongoing engagement, and Linkedin is a space where you and your professional company profile can stand out. Whatever social platforms you choose, focusing your efforts is crucial as sustaining a reputable digital presence will require continual maintenance. Honing on one or two platforms is your best choice for standing out. Tax obligations for medical practices can be extremely complex. Finding an accountant with medical experience is vital as they can help you navigate your tax obligations. They can advise what you need to do and how it needs to be done, saving you valuable time and energy. No doubt, complex tax situations will emerge. As an example, although your MBS item numbers are not subject to GST, you are very likely to be paying GST through your suppliers and are eligible to claim it back; another example is a self-managed super fund as it is a great, tax-effective way of owning your own consult rooms. Like your tax requirements, your legal obligations are a high priority. Hire a lawyer with experience in helping other private practitioners, to help draw up legal contracts for staff and other service providers. The initial expense may be high, however, it’s well worth the investment. Bringing a legal expert into your business planning early can alleviate problems that could damage both your financial outcomes and professional reputation in the long term. The location of your business should focus on your ideal patients and their demographics. Many key considerations centre around convenience and accessibility: easy access to public transport, parking spaces for patients with poor mobility, or close proximity to complementary health care services like radiology or pathology labs. Furthermore, the amount of foot traffic will affect your visibility within the community; this is a potential influencer for getting patients through the door. One of the most challenging parts of running your own business is ensuring you have the right team around you. We’ve all heard the phrase that “people are the most important part of your business”. Jim Collins, author of Good to Great, argues that it’s not “the people”, but “the right people”. 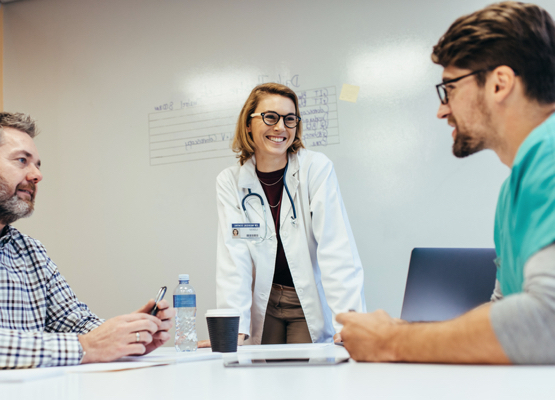 The right team equips your practice to thrive and enhance your patients’ experience — so there’s a lot riding on the hiring process. Strive to hire people who understand you and your business. Starting the hiring process early, allowing time for multiple interviews where necessary, and seeking advice from trusted references, are all valuable ways of ensuring you bring on the people best positioned to champion your growth. Launching your career in private practice is a huge milestone – you’re on the cusp of a fulfilling and meaningful career. Our advice: “It’s time to be a CEO.” Though your practice may start as a small business, your role as a healthcare leader and owner offers incredible responsibility, success and power – more so, than many CEOs. Despite the challenges that will arise, your decisions will reap enormous rewards, both personally and professionally. Early preparation will put you in the best position to pioneer long-term and sustainable growth. Discover the scalable, secure practice management platform that will support you and your practice as you grow.